If you were not one of the lucky few to get tickets to Green Day’s Pageant performance last fall don’t fret. The Rock and Roll Hall of Fame trio announced they will return to Saint Louis for a second show on their Revolution Radio Tour. They will play at the much larger Hollywood Casino Amphitheatre on August 14. Tickets will go on sale to the general public This Friday, January 13 at noon. Tickets can be purchased at any ticketmaster retail outlet, online, or at the Gold’s Gym Box office at Hollywood Casino Amphitheatre. LOS ANGELES, CA – January 9, 2016 – Grammy® Award-winning Rock and Roll Hall of Fame inductees Green Day today announced the Revolution Radio summer tour, kicking off on August 1st in Auburn, WA and hitting amphitheaters, stadiums, and arenas across the country. UK based band Catfish and the Bottlemen will support all dates. As part of the run, the band will also perform for the first time at Wrigley Field in Chicago, IL and the Rose Bowl in Pasadena, CA. Dates and on-sale information for those shows will be revealed in the coming weeks. See below for a complete list of confirmed dates. Green Day is an American punk rock band composed of vocalist/guitarist Billie Joe Armstrong, bassist Mike Dirnt, and drummer Tré Cool. Formed in 1986, Green Day was originally part of the punk scene at the DIY 924 Gilman Street club in Berkeley, California. The band’s early releases were with the independent record label Lookout! Records. In 1994, its major label debut Dookie (released through Reprise Records) became a breakout success and eventually sold over 10 million copies in the United States. Green Day was widely credited with popularizing and reviving mainstream interest in punk rock in the United States. 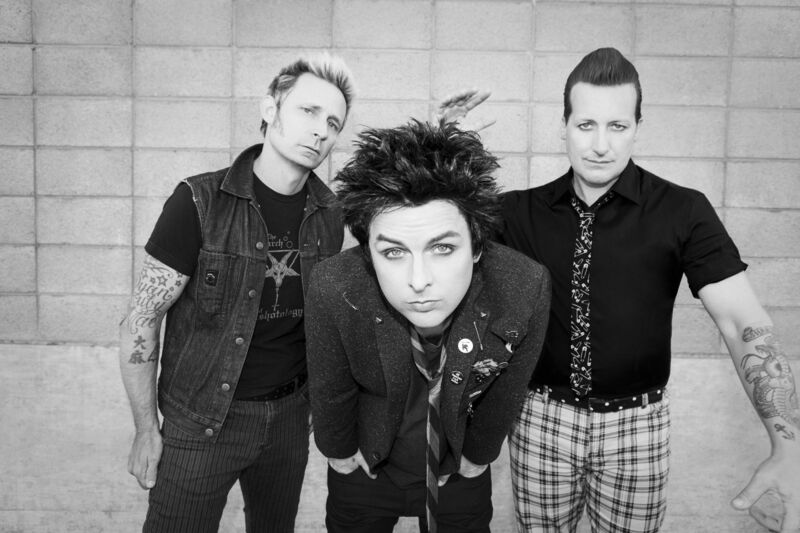 Green Day’s follow up albums Insomniac (1995) and Nimrod (1997) each sold over two million albums and were certified Double Platinum, and Warning (2000) was certified Platinum. 2004 brought the band’s rock opera American Idiot which reignited the band’s popularity with a younger generation and sold over six million copies in the United States. 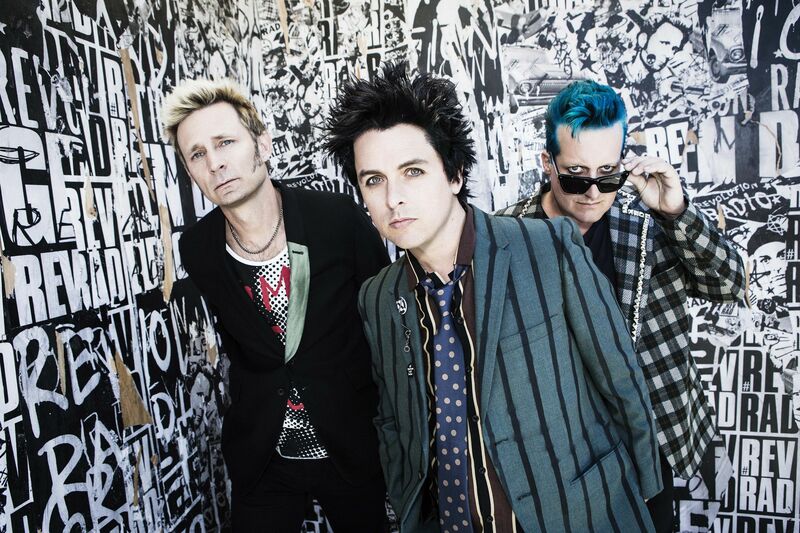 Green Day is one of the world’s best-selling bands of all time, having sold more than 75 million records worldwide. The group has won five Grammy Awards: Best Alternative Album for Dookie, Best Rock Album for American Idiot, Record of the Year for “Boulevard of Broken Dreams”, Best Rock Album for the second time for 21st Century Breakdown and Best Musical Show Album for American Idiot: The Original Broadway Cast Recording. In 2010, a stage adaptation of American Idiot debuted on Broadway. On April 18, 2015, the band was inducted into the Rock and Roll Hall of Fame as a part of the 2015 class in what was their first year of eligibility for induction. On October 16, 2015, Green Day released the documentary Heart Like A Hand Grenade, an unprecedented behind the scenes look at the writing and recording of their legendary album American Idiot. The band’s latest album Revolution Radio was release on October 7th, 2016 and debuted at No. 1 around the world.